← A deal .. maybe?? Combination Square Head on Mint STARRETT Scale $29? I just got my February 2013 Fine Woodworking magazine and they were talking about fitting tenons. It was a good article, but I do something a little different (not necessarily better) at least for the tenon cheeks. Their fitting involves using a shoulder plane for the shoulder and a skewed rabbet plane for the cheeks. Chris Schwarz talks about it a bit here (since I can’t share the FW article). So for what it’s worth, here’s the way I do it. 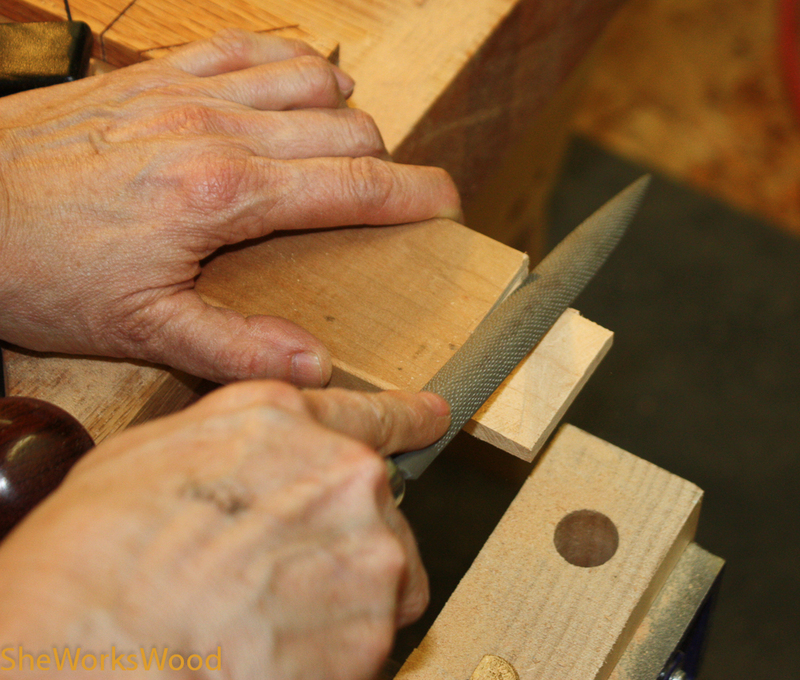 Using a rasp to round the edges of the tenon. This is what I do that’s different. 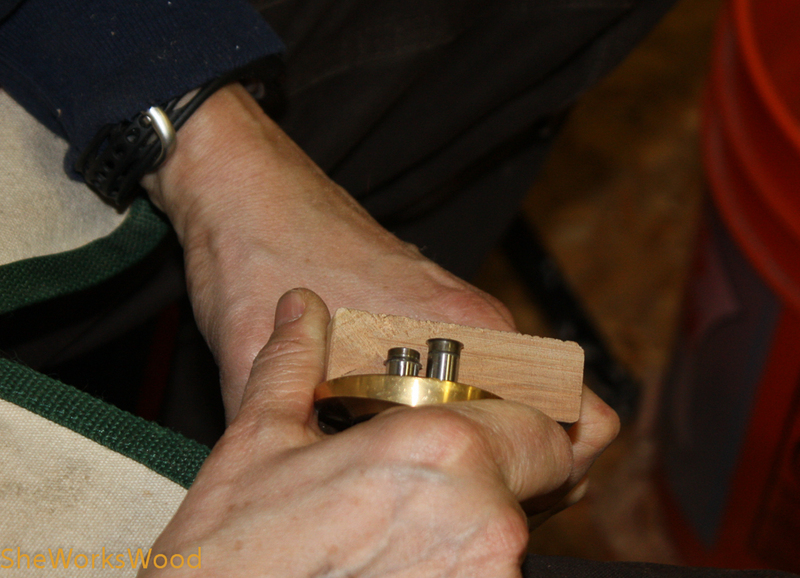 I use the router to trim the tenon and keep the tenon centered. I trim on one side and flip it over and trim at the same depth the other side. 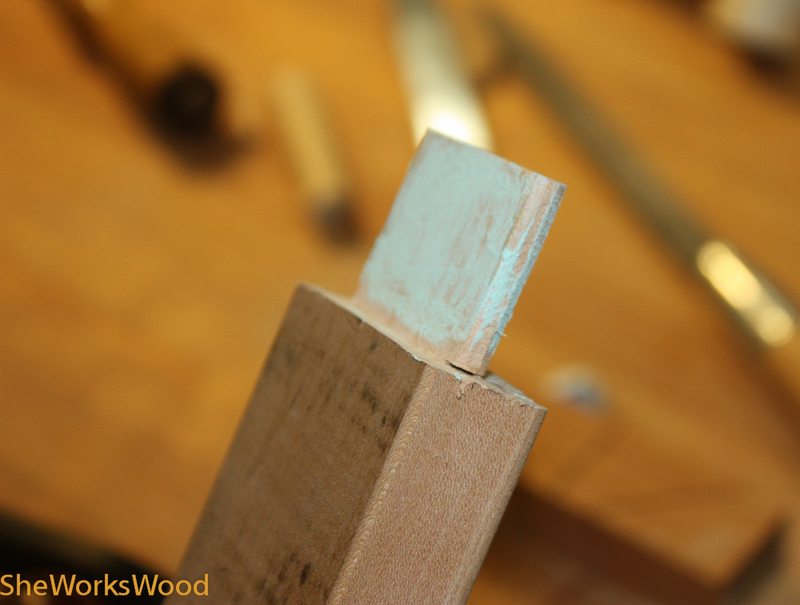 Once the fit is close, I chalk the tenon ..
.. and I look for rub spots. And I generally get a snug fitting tenon. This entry was posted in desk, dovetail saw, rasp, router. Bookmark the permalink. Ohhh, good point about using the router plane to keep the tenon centered. 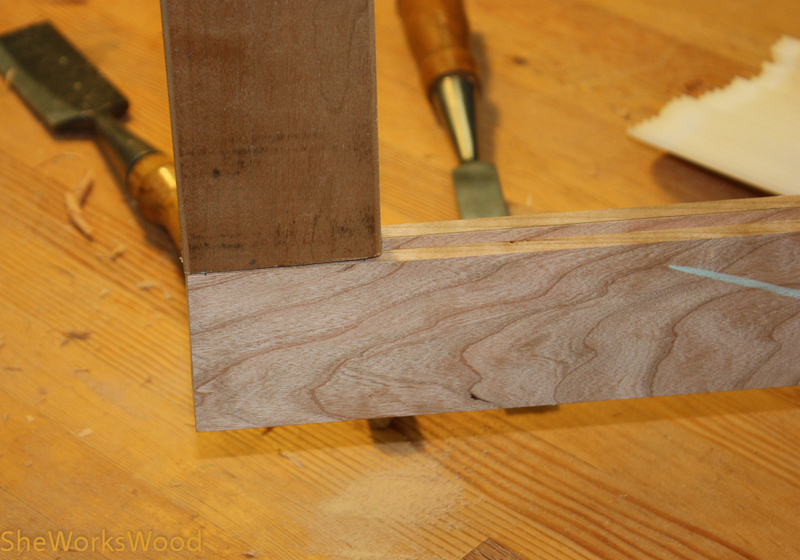 I used the scribe lines to guide fitting the tenon on my sharpening bench project. But that meant I couldn’t cut the haunches/sides until later. Next time I’ll try the router plane. Well, I see three problems with your approach. First, you’re pretty much limited to tenons that are centered. 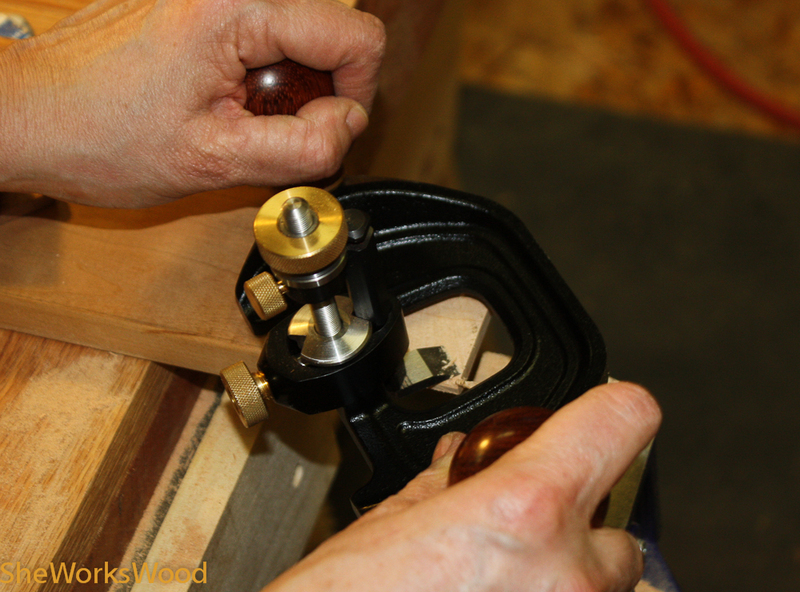 Second, using a router plane is accurate but very slow–I know, I used to use this method exclusively. Finally, you don’t mention the need to clean up the shoulders. Nothing works better than a shoulder plane but only for shoulders. I suggest you give the small LN rabbet plane a try. Properly tuned it makes short work of fitting tenons. What I do is first produce slightly oversize tenons. 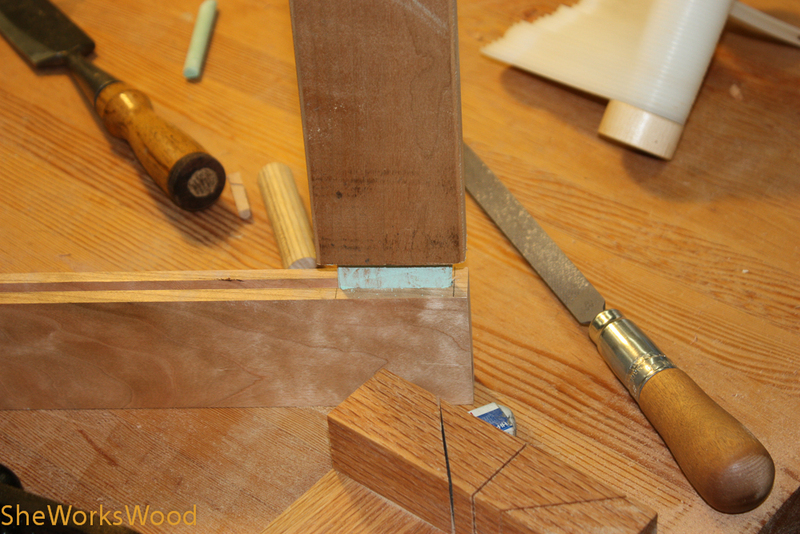 After making sure the shoulders are ok(even) I use a pencil to scribble hash marks on both sides of the tenon. Use the rabbet plane to just remove the pencil marks on each side. The pencil marks limit the amount you remove as well as guiding you so plane evenly. I would guess that, for me, it is somewhere between 5 and 10 times faster than using a router plane. Good luck! Generally speaking, that’s how I do straight tenons. Whilst I take Mark’s point about being restricted to central tenons when using a hand router for the final shaping, I have two routers and can deal with offset tenon cheeks that way. The advantage of trimming with a router is that, once set (and when each component is the same thickness), the tenon is repeatable time and again. Hand routers seem to be one of the few tools that are plentiful and cheap, these days. 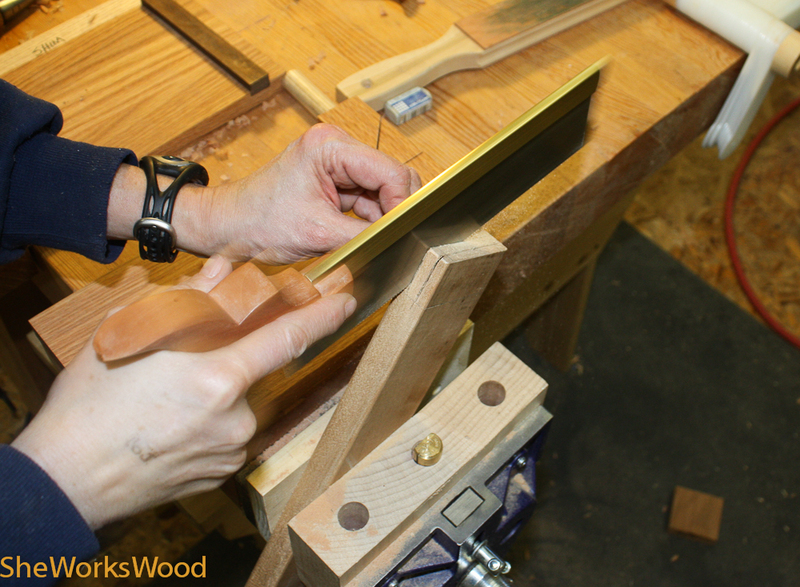 If you cannot stretch to a second router, a sharpened screw head in a flat piece of wood works well. On the subject of chalk, it’s fine if, as I often do, you use dry mortise/tenon joints secured with pins, but it may compromise the effect of glue. I must confess to using a well sharpened shoulder plane because it can clean the shoulder’s vertical saw cut, but I also use a cabinet-maker’s float in preference to a rasp. Reason? Better finish, even across the grain. I used a shoulder plane and block plane (and a chisel) to clean up the tenons on my sharpening station. That was my first real foray into mortise and tenons, so I’m certainly no expert! After test fitting a tenon until it was stuck and light taps and wiggling didn’t move it further, I could dis-assemble it and see rub marks on the face. I used the block plane to shave these off and tried it again. Eventually it would slide all the way home. The shoulders I dressed with the shoulder plane (of course) as well as the faces of the tenon that were immediately adjacent to the shoulders because the block plane wouldn’t reach there. I have a LN140 that would have been PERFECT for this, but I have it it’s box and have been saving it for special occasions (DOH!). I also used my chisels a lot, especially on the end grain around the shoulder. I had nice, clear knife marks (“knife walls” in Seller’s vernacular) and user them to register my chisel and pare away and waste or unevenness. That’s faster for me than the shoulder plane, which I then use to just make a light cut or two for final cleanup. I also *slightly* undercut the shoulders, but just a think shaving or two, maybe .020″, to make sure that the visible part of the shoulder is completely snug when closed. But, as I said, I’m a noob. I’ll experiment with different approaches on my next project and see what I can do better and faster. One of the things I love about woodworking is that there are so many ways to do things. I do clean out my mortises and bush off most of my chalk before gluing. Thanks for bringing that up. I going to take another look at the FW article and see if I can improve my technique.